What are the best ux design tools designers use in design process? Design team’s favorite ux design tools; shared ux tools and techniques. When bringing forth new ideas, using UX tools is definitely a great help. So, what UX tools should you use to create apps/websites with high productivity? What are the best tools for specific design needs such as wireframing, prototyping, user testing, interaction design and team collaboration? If you are still looking for a right design tool, this post is written specifically for you. We've explore 20 amazing UX tools and best prototyping tools you should have in 2019. Flowcharts, diagrams and mind maps are good means of organizing information visually. Desingers need UX tools such as MindManager, SmartDraw, or Visio to help brainstorm, schedual or turn ideas into something concrete. MindManager is the ideal way to plan projects, analyze processes, and consolidate and transfer knowledge. As one of the best mind mapping software applications developed by Mindjet, the digital mind maps can be used as a “virtual whiteboard” for brainstorming, managing and planning projects, compiling research, organizing large amounts of information, and for strategic planning. SmartDraw is the smartest way to draw any type of chart or diagram on any modern web browser. SmartDraw integrates easily with tools you already use. With just a click, you can send your diagram directly to Microsoft Word, Excel, PowerPoint, or Outlook. You can export to PDF and other graphic formats. In addition, it includes hundreds of professional templates that you can quickly edit to make you own. Even the most novice users can become instantly productive with SmartDraw. Design handoff takes place when designers finish the work and need to deliver the results to developers. The ultimate goal of design handoff is to minimize the guesswork and improve the effectiveness of the design process. In that case, ux handoff tools such as Mockplus iDoc or Zeplin can make your life easier. As a brand-new collaboration tool for designers and developers, it goes far beyond design and workflow—allowing mobile designers to create masterpieces. It allows you to upload your wireframes and visual designs from Photoshop, AdobeXD, and Sketch, and add them to your project folder in iDoc. Zeplin is a collaboration tool built for UI designers and frontend developers. With Zeplin, collaboration between designers and developers becomes easy, effective and saves time. Designers can turn their designs into specs and guidelines, and developers can generate platform-related code snippets. Wireframe makes it easier to present UX/UI designers' ideas and thoughts. When starting to create an app or website, having a handy wireframing tool can make the whole process easier and more smooth. Here are 4 UX wireframe tools for you. Lucidchart’s wireframe and mockup tools make it easy to design, share, and test your ideas, so you can pick out the winners early on. Lucidchart is the perfect tool for creating interactive, demo-ready wireframes and mockups. Gliffy is a tool for creating the framework for your website, home-page or app. It also offers a basic but effective flowchart software solution that is easy to use and suitable for many business flowchart needs. Moqups allows you work collaboratively on wireframes, mockups, prototypes from low-fidelity to high-fidelity. It’s an all-in-one online design platform that's smart, simple and fast. it is a vibrant wireframing tool that brings a crisp design aesthetic to every concept, workflow, or process created using the platform. There is an abundance of wireframe tools available nowadays, Here I also pick the best 5 quick wireframe tools to help you design quickly. Prototyping tools for designers come in all shapes and sizes these days. With so many UX prototyping tools out there, how do you know which one will fit your needs? Below, we will explore 4 of the best ux prototyping tools. Created with the mission of being the faster, smarter and easier design tool, Mockplus enabling you to create a perfect interactive wireframe and prototype in a minimal amount of time. Mockplus users are all over the world, and include more than 700,000 product managers and designers, 50 well-known companies and 300 universities. Mockplus is committed to becoming a faster and simpler UX collaborative design platform in future. Axure RP is one of the most comprehensive prototyping tools. Both static, low-fidelity prototypes and more sophisticated, interactive ones can be created by Axure. But it comes with a steep learning curve. Flinto for Mac is a comprehensive prototyping tool which lets designers quickly make interactive wireframe/prototypes of their mobile, desktop, or web apps. It quickly creates transition-based animations and the screen management to handle a large number of app screens. Justinmind is a free prototyping tool to design web and mobile apps. It offers drag and drop placement, re-sizing, formatting and export/import of widgets. You can get some sophisticated prototyping results with Justinmind. ProtoPie is a relatively new and easy-to-learn tool that allowing you to test the functionality of your prototypes by scanning a barcode. You can create sophisticated micro-interactions when producing prototypes for the product. It easily syncs with Photoshop or Sketch. Usability testing is a technique used in user-centered interaction design to evaluate a product by testing it on users. It is important for improving user experience. UX research tools and UX testing tools like Trello, Usertesting and Optimizely are recommended. UserTesting is an online usability testing tool that provides videos of real people speaking their thoughts as they use websites, mobile apps and prototypes. The service works for landing pages, emails, ads, prototypes, live sites, and apps. You can opt to have your design tested by an experienced in-house research team, or have a project manager come on to oversee that you accomplish your goals. Sketch is a vector-based design tool which helps you design interfaces quickly and intuitively. You can pre-design elements like buttons, widgets and even complex navigation mechanisms, then replicate their design on other artboards and shapes. Figma has almost the same interface as Sketch. Its innovative mainly comes from its ability to allow a team of designers to collaborate and give comments on a design in real time. Figma’s canvas helps you progress through your design process in a collaborative way. InVision is a web-based prototyping tool that brings your design to life quickly. You can upload design files and add animations, gestures, and transitions to transform their static screens into clickable, interactive prototypes. It supports files in PNG, JPG, GIF, AI and PSD format. Marvel is a browser-based prototyping tool which simplifies the process to a great extent. It supports direct uploading of particular image types such as JPG, GIF, and PSD in addition to third-party uploading through Dropbox, Sketch, Google drive, etc. 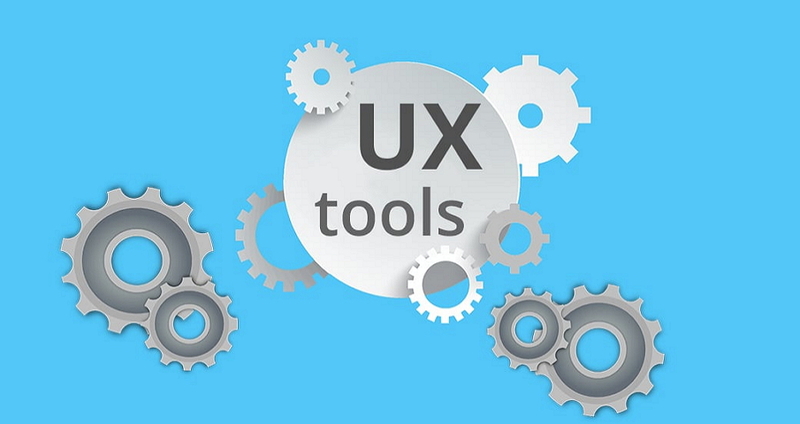 Above are 20 UX tools for your consideration. User experience (or UX) is necessary to good design, be it website, mobile or app. The right tool can often be the first step to producing an awesome product. Hope you can benefit from this post and please comment below if you have any opinions or thoughts to share with me.